Spray 6-8 inches from surface applying product directly on surface. Use a brush or sponge to scrub surface. 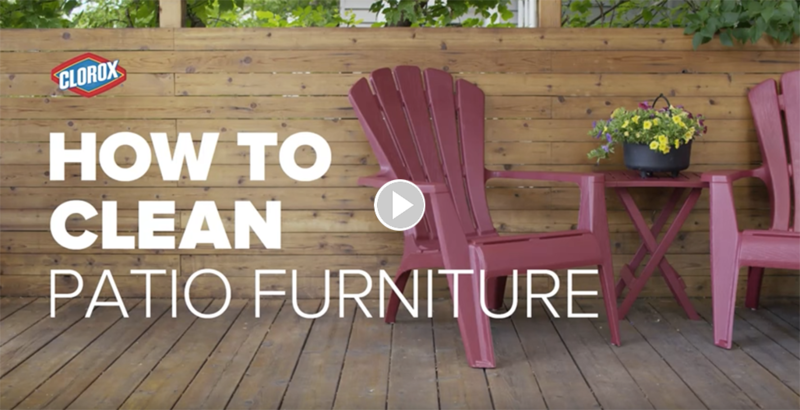 Use a garden hose with a spray nozzle to rinse off furniture. Wear old clothes, shoes and rubber gloves. Pour ½ cup of Clorox® Regular-Bleach2 with CLOROMAX® into 1 gallon of water in a plastic bucket or container. Apply bleach solution using a brush or broom on horizontal surfaces, and a sponge or mop on vertical surfaces. Heavily soiled surfaces may require additional scrubbing. Rinse thoroughly using a garden hose with a spray nozzle. Remove cushions and fabric, then wipe furniture to remove dust and cobwebs. Pour 2¾ cups of Clorox® Outdoor Bleach into 1 gallon of water in a plastic bucket or container. 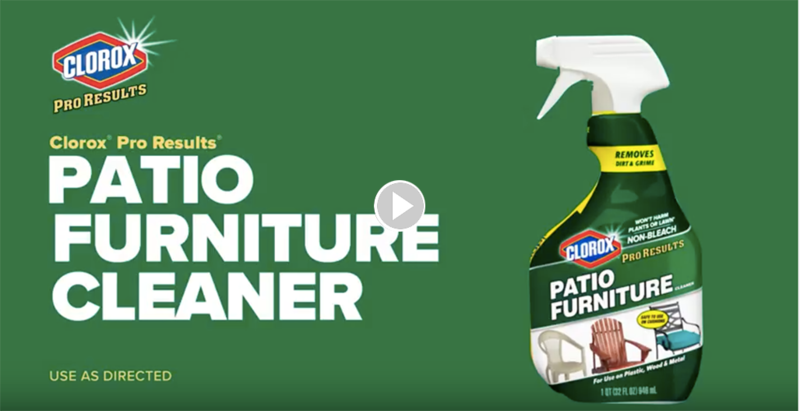 Use a brush or sponge to apply the bleach solution to furniture. Wait up to 15 minutes. Use a garden hose with a spray nozzle to rinse off the items.